With the hot part of summer mostly out of the way, it was about time to slot in a few working bees. And as you will see, there are quite a few. I thought it best to look at the next 6 months or so and lock them into dates. 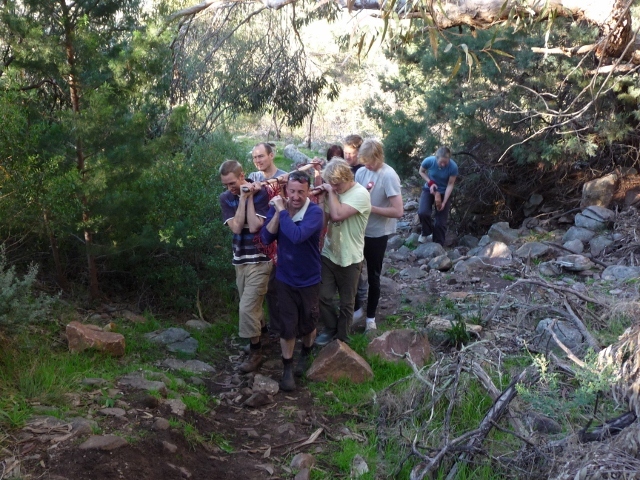 As I noted in a previous Access report, Dave Roberts – acting Ranger in charge in the Grampians is keen for the climbers access tracks to be maintained by CliffCare and the climbing community. Besides repairing any damage to them as a result of a natural event be it fire or flood, the idea is also to check on a regular schedule, these tracks that we use to access the cliffs. I am keen to get a few ‘custodians’ of various areas to report back to me each year on the state of climbers tracks in that particular area. Those that happen to frequent a particular cliff would make sense. If you would be happy to keep an eye on things at your favourite cliff, drop me a line please. 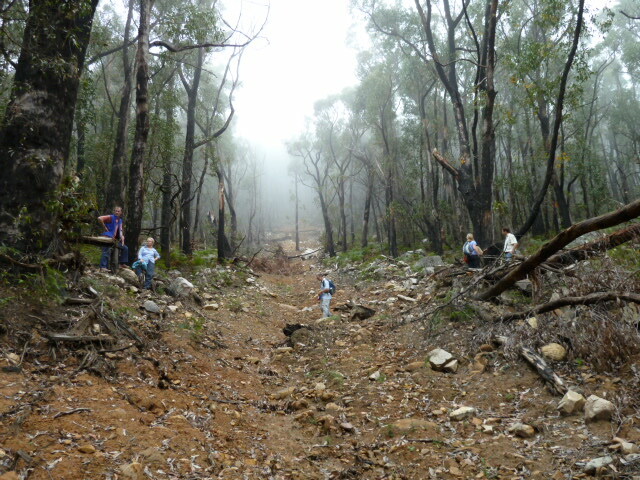 The You Yangs project – which we received a grant for in 2010 for early work in 2011 has now been locked in. Due to the floods, the park ended up being shut for a good part of the year so we were able to put the grant on hold until a more suitable time. Some of the work we were originally going to do ended up being fixed due to further damage to the floods so after further consideration we have decided to work on a retaining wall at the Urinal Wall site. This site is heavily used by groups as well as individuals and sees a huge amount of traffic. Standing area for people is getting progressively pushed further and further back into the vegetation. Using the same concept as the retaining walls at Summerday Valley, we will be constructing, with the help of a stonework contractor, a retaining stone wall that will stop further encroachment on the vegetation. And now for dates for this years working bees. I will be sending out reminders as each one approaches, but please, if you see any dates that suit, drop me a line. Further information can be found on these work days on the VCC events calendar. Cathedral Ranges logging season has begun again. Logging of the central pine block at Cooks Mill started this week. Two thirds of Cooks Mill sites are closed along with Little River track and St Bernards track. 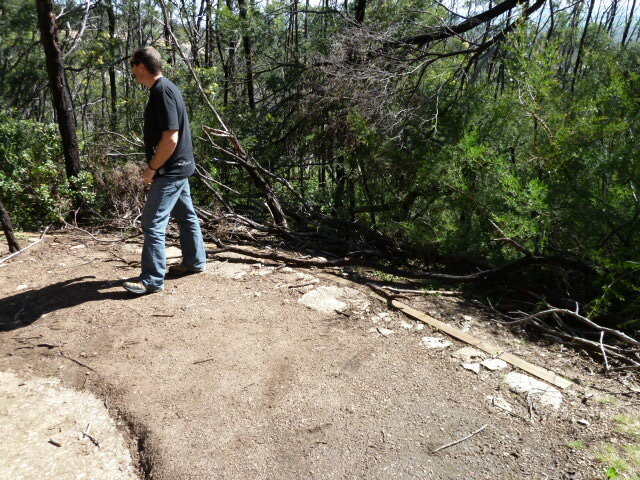 There is also a new track (Messmate track) linking Sugarloaf Saddle with Cooks Mill and construction will being in March, with an aimed completion by Winter. Volunteers will be needed for this project also so please contact me. Although I haven’t scheduled a working bee for this as yet, I think it is something that would be good to have a climbers presence at. Contact me for further details and hopefully I will have enough to put a group together. This entry was posted in Access &Environment officer reports, Arapiles, Grampians, You Yangs and tagged arapiles, grampians, volunteers erosion, you yangs by Tracey. Bookmark the permalink.